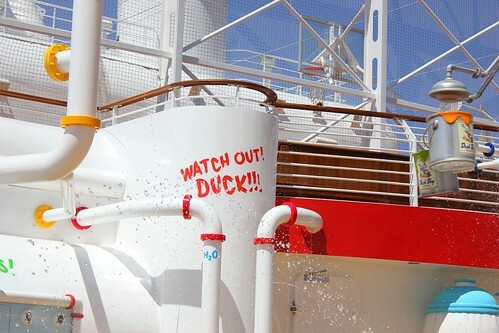 We’re just minutes away from setting sail on the Disney Fantasy Inaugural Magical Preview Cruise, but I wanted to offer everyone a look inside one of the newest feature on board before our Internet connection disappears with the coast line. 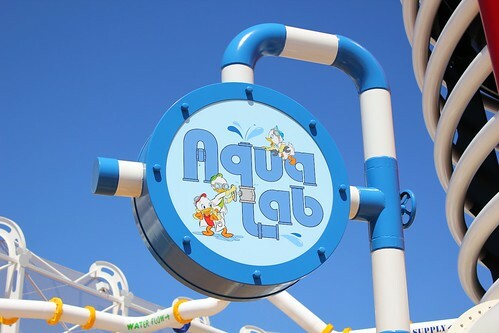 The AquaLab is a water play area offering squirting jets, dumping buckets, and plenty of wet interactive fun. 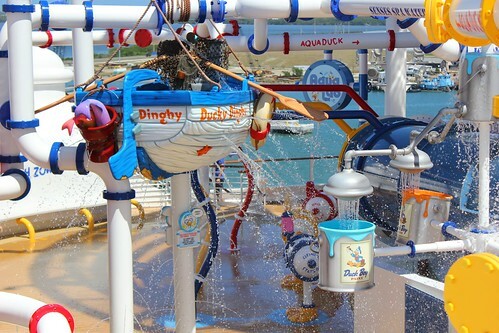 As the story goes, it’s where Huey, Dewey, and Louie experimented to build the AquaDuck water coaster. 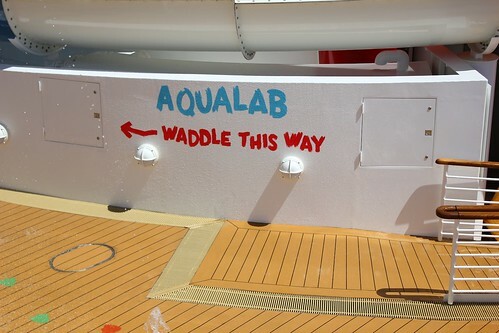 And it was one of the first places I headed once on board today. Take a look around below, including a video walkthrough of the entire area. 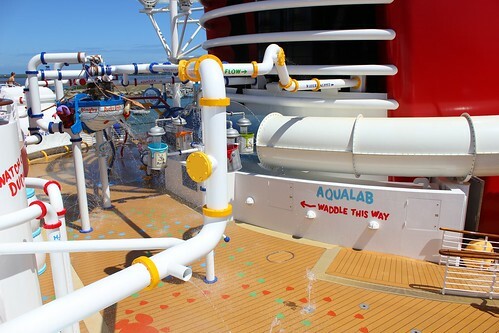 Note that I was fully clothed while walking through the soaking AquaLab – the things I do to bring Disney magic to you! So what area on the Dream is this? 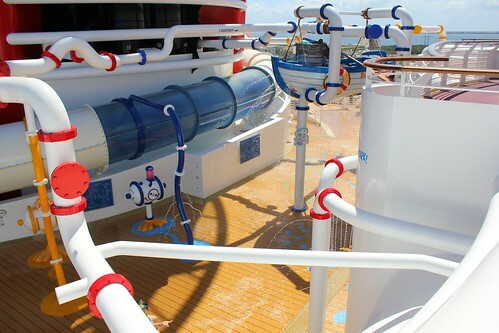 I know its NOT On the dream, but as they are the same ship I wondered what area of the Dream they took away to build this. 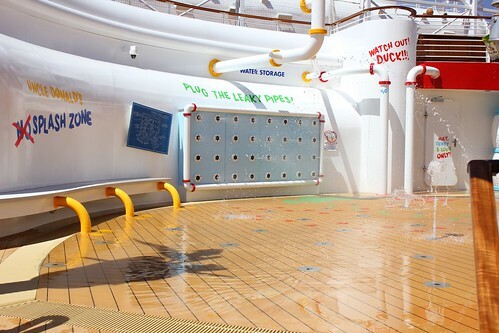 And yes its AWESOME for the kids and mine will be all over it for sure! It replaced the Waves bar area, which got relocated on the Fantasy to a tucked away corner that few people realize is even there. 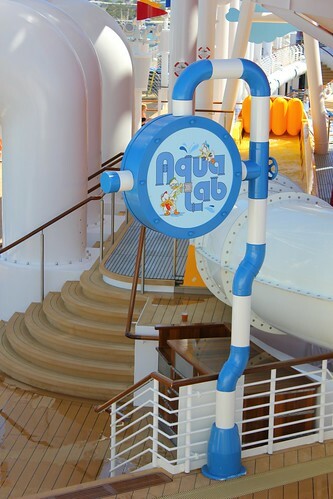 AquaLab is fun for ALL ages, not just kids. I loved it. 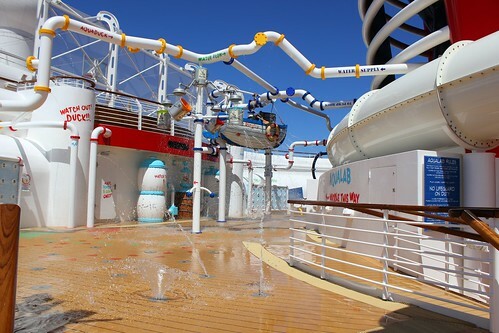 Wish they had this one the Dream! 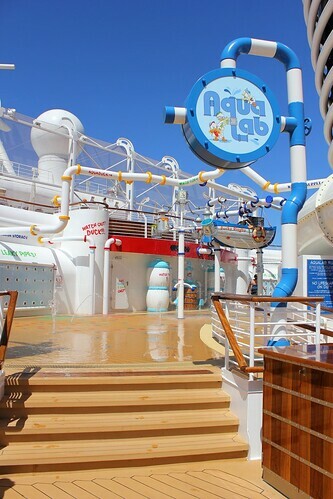 Would be nice if they would add it as tje Waves bar area was always closed on our ship anyway as noone knows its there!